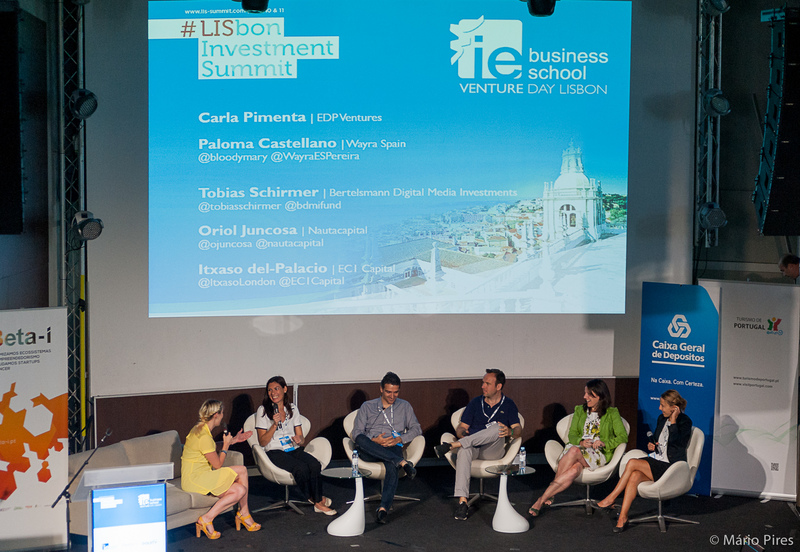 IE Venture Day Lisbon 2014 took place last July 10th, as part of the Lisbon Investment Summit, organized by IE business school and Beta-Iwith the participation of the European Commission. Pharmassistant, the winner of the startup contest was awarded with an €80k investment by Smart Equity. The jury responsible for evaluating the pitches of the startups included Mike Butcher (Techcrunch editor), Tobias Schirmer (IE alumnus and BDMI), Oriol Juncosa (Nauta Capital), Itxaso del Palacio (EC1 Capital), Paloma Castellano (Wayra) and Carla Pimenta (EDP Ventures). Vertequip was the most voted project by the audience of more than 300 people and Coolfarm was chosen as the best pitch. The event gathered entrepreneurs Anshuman Vohra, Bulldog Gin founder, Lopo Champalimaud from Wahanda, Rui Pereira from Outsystems, Scott Witters from Glownet and Pedro Trinité from TTR, the last two IE alumni, and sponsors like CCA-Ontier, whose managing partner, Domingos Cruz, is also an IE alumnus, and Bulldog gin. Since its inception, IE Business School has embraced the entrepreneurial spirit as a core value, and is now an international reference in the field of entrepreneurship being ranked No. 9 Worldwide for Entrepreneurship by Bloomberg´s Business Week.